Here’s How Wrong Lighting is Ruining Your Interiors and How to Do it Right! What is the first aspect you focus on while designing your home/ workplace? Most people would have the answer that they would look at the furniture, or the colour of the walls. People tend to think about where the sofa or TV unit must be placed, or if there is enough room for a huge dining table. However, one factor that is ignored, or even taken for granted at times is - Lighting. That is because for most of us it is… well lighting! You get some fancy lights in the false ceiling and it looks cool. Or…. So you think! The concept of lighting, however, is not that simple. The lighting that you choose for your home must perfectly compliment your interiors as average or just ‘good enough’ lighting can make your dream home interior look just that - average! Common Lighting Mistakes Found in Indian Homes & How to Fix Them For The Ultimate Interiors! When it comes to lighting, there is no 'one-size-fits-all' concept. An interior designing expert will definitely suggest ways in which your home/office can be enhanced by simple lighting fixes. But, here’s something which you should know about lighting - which also help you discuss about lighting with your interior designer.... and of course, we've got it all in a quick and cool visual summary for you to download and keep it handy on your mobile device, at the end of this post - when on the look out for those perfect lights! Skip to it directly from here. One of the most common mistakes that we make is by assuming that one kind of light is enough for a room to be lit properly, and that too through one or two sources. The correct approach, however, is to opt for layering of lights. Divide the available space into various sections and choose appropriate lighting. In case of a bedroom, the area near the bed should be a separate section whereas the area where the couch or dressing table is kept must be viewed upon separately when it comes to lighting. The bed area can have some dim lighting so that it is easier to sleep, there is moderate light needed on the area where the couch and other chairs are kept. Also, the dressing table should have a good amount of light. Similarly, your living with a dining area could do well with separate type of lighting for both. 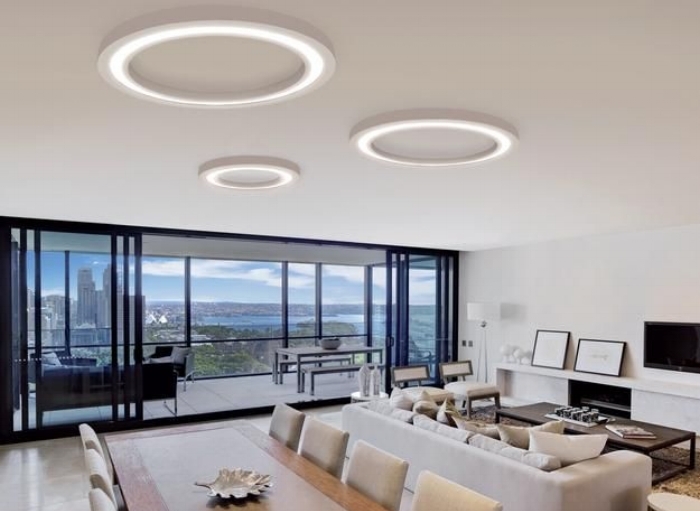 Overhead lighting is often used for dining space and the living room as a whole gets a combination of concealed and surface lights, which also allow for more uniform lighting. 2. Dimmers… Err You Didn’t Think Of Them Did You? You might think that there is no need of ‘dimmer’ but trust us, they help a lot in customising the look of your interiors. It is true that lighting is a functional thing and not many of us think about the aesthetic value of lights as we should, but good, planned out lighting will add that sense of drama in the ambience. Dimmers are the best option for this added essence. You can even transform your room by tuning those bright lights via dimmers to give it a different mood altogether. They also help you achieve different aesthetics via the same set of lights. 3. You Picked LED lights - Great! But What About The Wattage? LED is a great option but it is possible that yours is too bright! After all, just having fancy lighting isn’t enough. The sort of wattage required must be known. The last thing you would want is a room that is bright enough to give you an eye-sore! For living rooms generally, 60 watts to 75 watts is preferred. However, this also depends upon the size of the room. Also, in case you use dimmers, lights of 100 watts too would help you set a different mood with the same lights. Uniformly lit spaces with LED lights are perfect to use when it comes to workplaces. But for home, mix it up! 4. You Converted The Recessed Lights Into Spot Lights - Bravo! Spot lights are cool. But you’re not a performer! People often incorrectly use the recessed lights. These lights are for providing soft and smooth ambience and not a sharp, burnt-out illumination. Unfortunately, when used incorrectly, the recessed lights often look like spotlights in your home. Generally smaller places are more prone to this, especially when the wattage is higher than needed and the lights too close to the subjects they are used for. In such cases the light will give out a very sharp illumination which doesn’t go well with the ambience. Use soft bulbs, or even dimmers to add that extra charm! 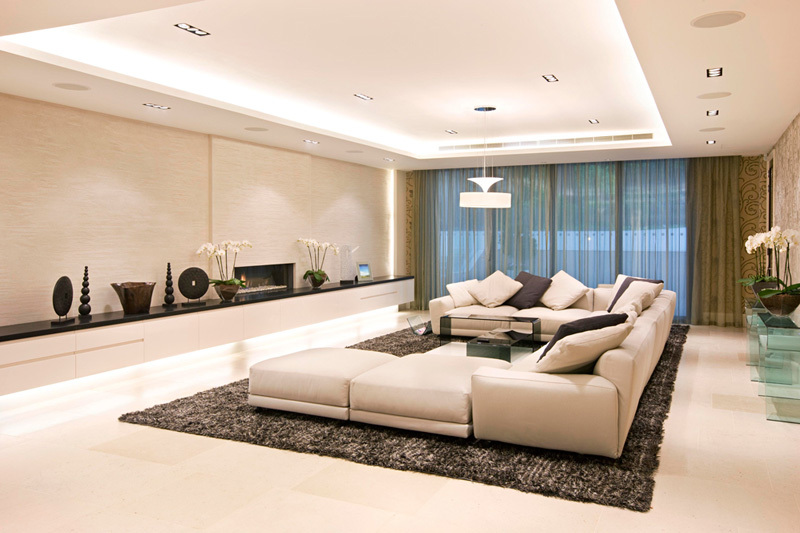 Another common lighting mistake for home interiors is when people use just way too many overhead or recessed lights. It is best to consult your interior design expert on how and where to really use them. 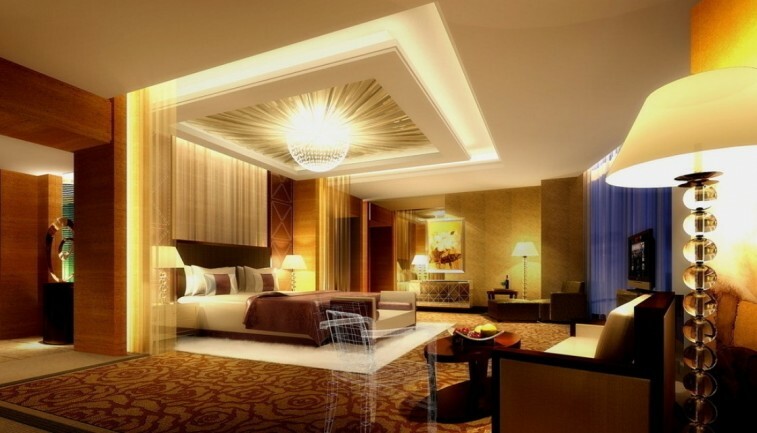 By looking at photographs of hotels and homes online, yellow and golden lighting might give a royal look but this is an illusion and it lasts for a small duration. The photographs that you are looking at will only stay there for a while, once they disappear, you’ve no clue how would living in that light chronically feel like. The truth is that after a certain point, the yellow or gold lighting will start to feel depressing and you would want a change. So, do not go for yellow just coz you ‘feel royal’. Consult your designer for the best combination of lighting colour and wattage for your area. Different colours might be suitable for different sections of your home/office. The best option is to always have white light sources as primary and mix them a bit with yellow and other lights for those occasions when you want to watch a movie or have a house party. Again, dimmers are great to dim down the white lights, so the colourful lights could take prominence when need be. The most important aspect of choosing the right colours is also the ‘sense of space’ which certain lights can add to your interiors. But if the colours are wrong, your lights can even make the most spacious of homes appear smaller than they are. You might wonder about the role of lighting for a wardrobe. It might even appear insignificant to you but trust us, your wardrobe can definitely use some ‘illumination’. This won’t only add to the practical aspect of helping you locate your stuff quickly, but the correct lighting near your wardrobe will also complement its overall design and add a layer to your room. Keep in mind that every piece of furniture and décor can look amazing or average, based on the kind of lighting that compliments it. Your favorite spots in the house might just look terrible with incorrect lighting. We always recommend to Hire an Expert Interior Designer who can not just help you achieve the correct decor and interiors, but also ensure your abode is lit perfectly!